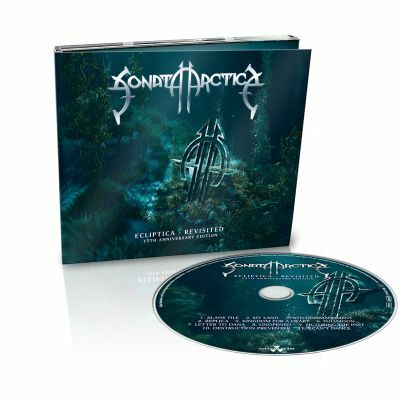 SONATA ARCTICA - ECLIPTICA REVISITED: 15TH ANNIVERSARY LTD. EDIT. (DIGI) | Online Shop | Wizard LTD. Album: "ECLIPTICA REVISITED: 15TH ANNIVERSARY LTD. EDIT. (DIGI)"
I would go so far as to say that I much prefer this rerecord over the original, everything about this effort is polished and charming. Delivering a massive chunk of pure power in one fifty minute blast.